Retro gaming is all the rage at the moment, with gamers across the globe digging out their old consoles and taking a trip down gaming memory lane. The trend has led to the revival of quite a few retro franchises, although some of our favourites have sadly been overlooked. Here are a few retro games we’d like to see get a modern update; share yours in the comments. Take your average game show, throw in a load of guns and mutants and you’ve got Smash TV, a top-down shooter where bullets make prizes (including a lovely new toaster). While the idea sounds pretty grim, the game is anything but. It’s full of crazy weapons and endless cheesy quotes. With the 90s revival in full swing and game shows getting increasingly weird, now is the perfect time for a Smash TV sequel. And hey, it’d be really fun online too! Back in the day, videogames were simple. Take Streets of Rage, for example. You pick a character, drop into a level and keep punching until the end credits roll. It’s been 21 years since the last Streets of Rage game, which means it’s time for a modern sequel. The good news is that Sega have been working on a sequel. The bad news? They’ve been working on it for 19 years and still haven’t gotten anywhere. The first attempt was by Core Design, the team behind Tomb Raider. They got as far as building the game, only for a disagreement to derail the project. 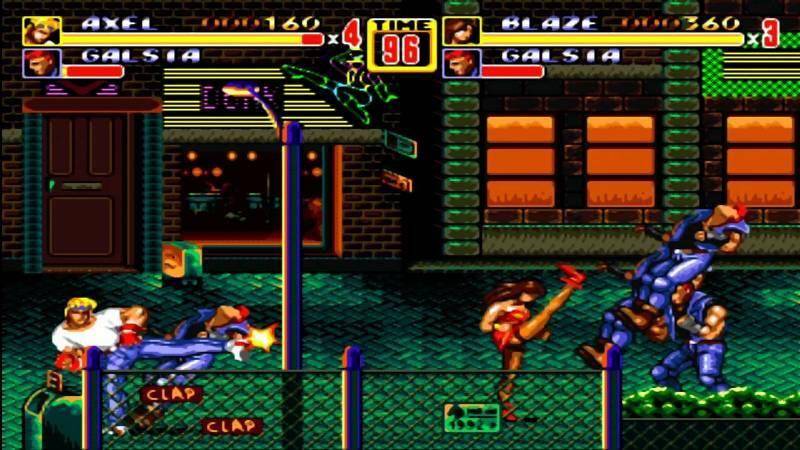 Core released the game as Fighting Force, which is unofficially Streets of Rage 4. It’s also a bit rubbish, so we’ll sweep that under the carpet. The second high-profile attempt came a few years later, when a company called Overworks pitched a version of Streets of Rage 4 to Sega. A 3D demo was produced, at which point Sega of America decided they didn’t want to release a beat-em-up and canned the project. Curses! Every now and again, rumours emerge of a new project but Streets of Rage 4 seems further away than ever. Come on, someone needs to make this happen! Back in the day, Earthworm Jim was so popular that he had his own TV show. Can you honestly tell us that there are no more stories to tell about a worm in a spacesuit with a hyperactive trigger finger? Thought not. One of the developers revealed in a Reddit AMA that the franchise was almost revived a few years ago, but didn’t happen because of IP related issues. Essentially, the only thing holding it back is legal complexities between the people who own and make the game. Motorcycle racing games are few and far between these days, which is weird because everyone knows motorbikes are awesome. Back in the day, the king of motorbike racing games was Road Rash. You take part in a series of illegal street races to win money and respect. Between races, your rivals give you a bit of stick, which you can respond to by smacking them in the face with a big chain during the next race. You can also get arrested, which is probably what you deserve to be honest. Quite a few sequels were made, with Road Rash: Jailbreak the last game released in 2000. It received mixed reviews and flew under the radar somewhat, which might explain why EA aren’t in a hurry to revive the series. For most people with a paper round, the biggest threats are rain, angry dogs and small letterboxes. In Paperboy, your attempts to deliver the paper are hampered by holes in the road, tornados and even the Grim Reaper. It’s pretty much the worst route in history. We hope the paper boy got paid well. With people relying on the web for news nowadays, a modern Paperboy sequel would probably require a few updates. Perhaps you could chuck iPads at people while riding a Segway instead? If you need some extra cash for the latest release, why not sell games with musicMagpie? We now pay on the same day we receive your stuff, which means you can spend sooner. Click below for an instant price.